1972 Jochen Arden laid the foundation stone for the present Company and in the following decades let it be synonymous for elegant design paired with the most modern technology in the English luxury car segment. In this foundation year the then 21 year old automotive manufacturer acquired the first official approval to start a retail business. 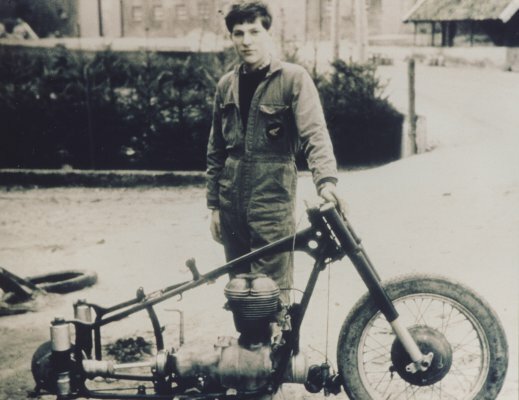 From very early Jochen Arden was enthusiastic about automobiles and his career therefore began with pioneering work in an old backhouse in Castle Zelem. From a youthful interest paired with a deep seated passion it became a professional striving for perfection. This was complemented with a racing sport passion and it developed to a present worldwide valued company. Arden Automobilbau stands for optical understatement in chassis design, highest craftsmanship in interior modification and high performance in engine manufacture and reflects German Engineering tradition. 1976 Jochen Arden founded the Automobil GmbH and moved to the new business rooms on Kalkarer Street in Kleve, which was followed 2 years later by a branch office on Emmericher street. Towards the end of the 80`s Jochen Arden decided to purchase a former Daimler Benz dealership and started planning and reconstructing the exhibition rooms and workshop. 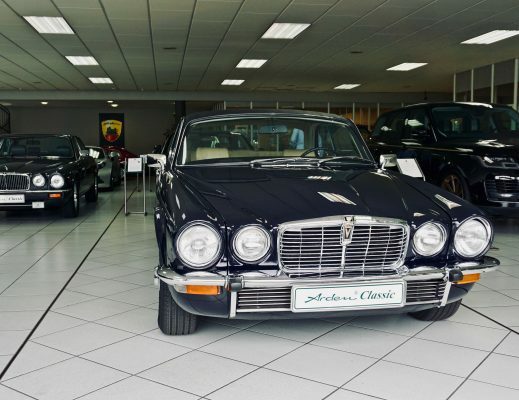 In 1982 Jochen Arden signed a dealership contract with Jaguar and opened a new showroom. In December he presented the first modified Jaguar XJ V12 Limousine. 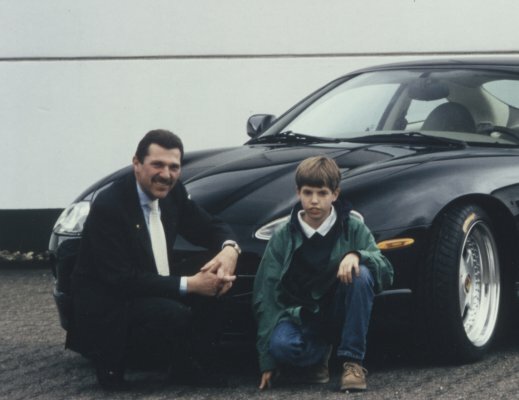 In 1982 Jochen Arden signed a dealership contract with Jaguar and opened a new showroom. In December he presented the first modified Jaguar XJ V12 Limousine. The presentation of the Aden AJ1 in Essen during the Jochen Rindt show raised quite a lot of attention and discussion potential. The title of Rally Racing in December 1982 was “can you improve a Jaguar”. For the first time a German car manufacturer had ventured into the skill of upgrading an untouchable English Limousine and the result was acclaimed worldwide. Thus began the success story of Arden. Even in the same year a contract was made with Duncan Hamilton England and in 1984 the Beverly Hills Motoring Company, LA took over the Arden program. In 1985 Jochen Arden founded the Arden Automobilbau GmbH and presented a pioneer achievement at the IAA, the first Jaguar total Cabriolet since the legendary E-Type, the Arden AJ2 Cabriolet. For this automotive achievement Arden received the KBA Manufacturers no. 770 and a following registration and recognition as an automotive manufacturer through the Federal Vehicle Office. In 1986 the Arden Japan Ltd was founded that laid the foundation stone for successful management cooperation. Additionally a cooperation contract with Jaguar Germany was made. During the IAA in 1987 the AJ3 station wagon was presented and the expansion into Asia was made with the foundation of the Arden Taiwan Ltd. In 1988 the AJ 5 Dual Turbo was presented at the Auto Salon in Geneva, which in the following year was complemented at the Birmingham Motor show by the foundation of Arden Automobilbau AG, Switzerland and the presentation of a further vehicle, the AJ6 2+2 Coupe at the IAA in Frankfurt. In 1990 Arden took part for first time on the Motor show in Tokyo. As a conclusion of this rich in development and successful decade Jochen Arden decided to move his location to Krefeld and he began with the planning and development of the new premises. In 1991 a new Epoch began. In the 90`s it was stated “move from the origin get close to the customer”. In Krefeld they found a strategically favorable place for the establishment of the Arden headquarters and after the completion of the new building they moved to the new company premises. And once again the race driving passion of Jochen Arden flamed up and he founded “Arden racing”. The Arden racing team, with the support from Jaguar, won the GT European Championship in 1993 and they carried on the next season with the same enthusiasm and success. The exclusive tuning contract with Jaguar Germany was updated. For 2 consecutive years the Arden Automobile GmbH also won as the strongest Jaguar dealer in Germany the “European Jaguar Quality Club 1992/1993” award. In 1995 Jochen Arden signed a contract with the Rover group and the company tree was enlarged with the introduction of Arden Engineering GmbH. Arden developed the first ABS system for a Jaguar, the first airbag and tested the first 5 speed automatic transmission from ZF and offered his customers the once in a life time possibility of optimizing the sporty performance of their vehicles, to increase the security and to intensify the driving comfort. 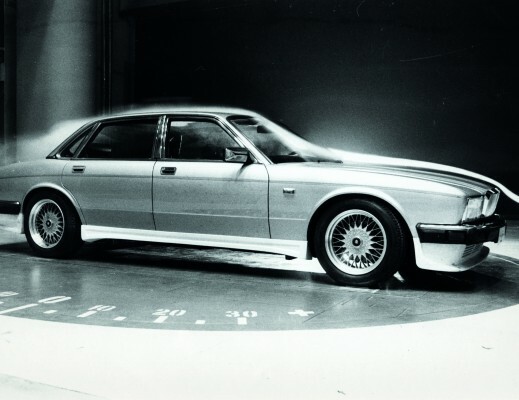 In 1996 Arden won the first of 3 consecutive awards “First class sales competition for Jaguar Germany GmbH” and also presented a complete upgrading program for the new Jaguar XJ Limousine that made a rolling office out of the XJ V12. In 1997 Jochen Arden received the certification according to DIN EN ISO 9001 and 9002 and decided to enlarge his upgrading program by another vehicle brand. For the Rover Group Germany he built to order the first Range Rover special edition with a navigation system and TV/Video units. A technical achievement that at that particular moment in time was outstanding. After a cooperation contract with MBB Security was signed he presented the first armored Range Rovers at the Security “98” Fair in Essen. At the end of this first decade he said farewell as one of the top ten dealers from the operative sales and devoted himself, together with a new agreement with Jaguar, solely to his own brands. In 2000 the third millennium rang in and began for Jochen Arden where everything had started. He purchased Burg Zelem and began with the restoration that was always carried out with the greatest respect for the architectural substance of the building. 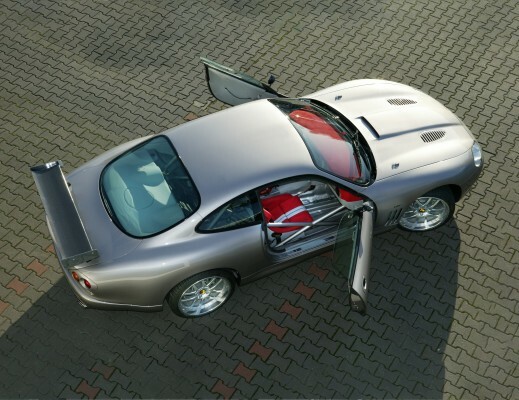 In the same year Jochen Arden won the reader award Auto 2000 for the Jaguar S-Type.In 2001 he presented the Arden X-Type and the Arden XK-A lightweight. Arden Engineering carries on fine tuning the improvements of the production technology and the world wide distribution structure is enlarged to 22 countries with partners in Hong Kong Indonesia, Kuwait, North America, the complete EU and Eastern Europe. Fair presentations in 2003 and 2005 at the IAA as well as 2005 for the first time in Dubai are testimonials for the continuing development of new products and technologies. The development of the A-Type Lightweight RS, a race car version of the Jaguar XK that was registered for street use brought in 2004 a special highlight that captured international attention. After the Arden Sportline wheel rims had been successfully introduced it was extended with the 22” light alloy mono piece “Dakar” wheel rim. In 2007 during the Mini Challenge Jochen Arden drove as a guest driver for team Piro Sports and if only for a short moment, to take part in his true passion. In 2008 Arden Automobilbau devoted itself to enlarging the product range and began with the initial construction and modifying plans for the new Mini and Bentley. In the following years there were more presentations at the Geneva Automobile Salon as well as participation on the Tuning World Bodensee. 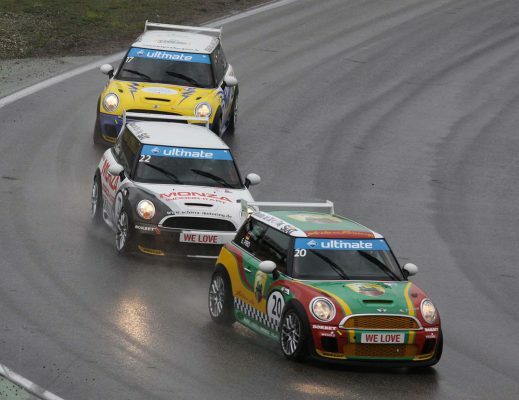 In 2009 Arden took part at the Mini Challenge 2009 and introduced during the Formel 1 Grand prix his new Mini Equipe and consequently won new customers and a fan community. The readers of the magazine Auto Bild have made their choice. The Arden Mini AM1 is sports car of the year 2010 in its category. On the Tuning World at the Bodensee the new Arden AR5/10 was presented to the public together with the new 22” wheel rim Dakar II, carrying capacitiy up to 1.150 kg. For the first time Arden took part at the Tuner Grand Prix and with the AJ 20 XKR 5,0L Cabriolet they immediately gained second place within the vehicles category. Arden Classic is expanded due to the increased demand. Due to the sustained enquiries and the sound knowledge Arden has been certified in 2010 as a specialist company for historical vehicles. After an extensive construction process of the Samson Kremer-Porsche 911 RSR, Arden Classic participated 2012 for the first time with the car in the 40th AvD Oldtimer Grand Prix 2012 at the Nürburgring. The restoration of Castle Zelem and the construction of the Arden brand center are completed. The new Range Rover generation AR 9 Spirit, with an innovative design, and the Jaguar AJ 20 RS, as the most powerful big cat with 645 hp and 810 Nm, are presented. Arden F-Type AJ 23 wins sport auto award 2014, 2016 follows a further placement with the AJ 24 on basis of XE. 2016 the first Arden British Day at the historic castle Zelem takes place. About 700 visitors enjoy the day on the green meadows around the castle in a relaxed atmosphere and admire 250 British and 100 other vehicles. Due to the success the event is now an integral part of the Arden event calendar. Further Arden develops an aerodynamics package for Jaguar F-Pace, as well as equipment for Jaguar XE S and F-type SVR. In 2018 Arden presented at the 88th Motor Show in Geneva, a new forged wheel program in 21 to 23 inches and the super sports car Jaguar F-Type AJ 23 SVR with 703 hp and the Range Rover AR 12th. In addition, Arden is expanding the Arden Classic department in Krefeld with a large selection of different brands, which are carefully checked and sold to the end customer in the usual Arden quality. On September 23, 2018, the third Arden British Day will take place at the historic Zelem Castle, to which all friends of classic cars and bikes will be cordially invited.